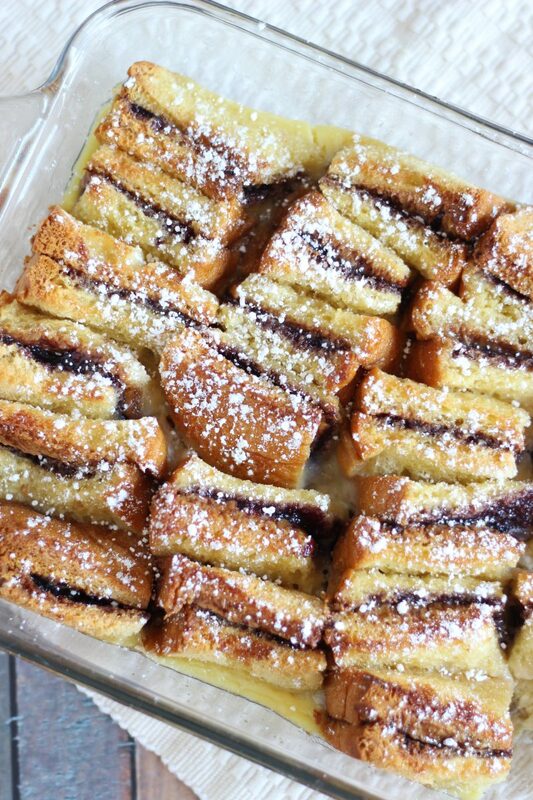 Brioche peanut butter & jelly sandwiches, baked into a bread pudding casserole with a rich custard of heavy cream, eggs, and vanilla! 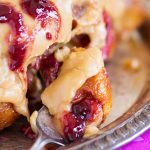 Peanut butter and jelly bread pudding takes a traditional recipe and turns it right on its head! 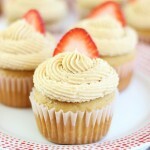 Peanut butter lovers, this one’s for you! 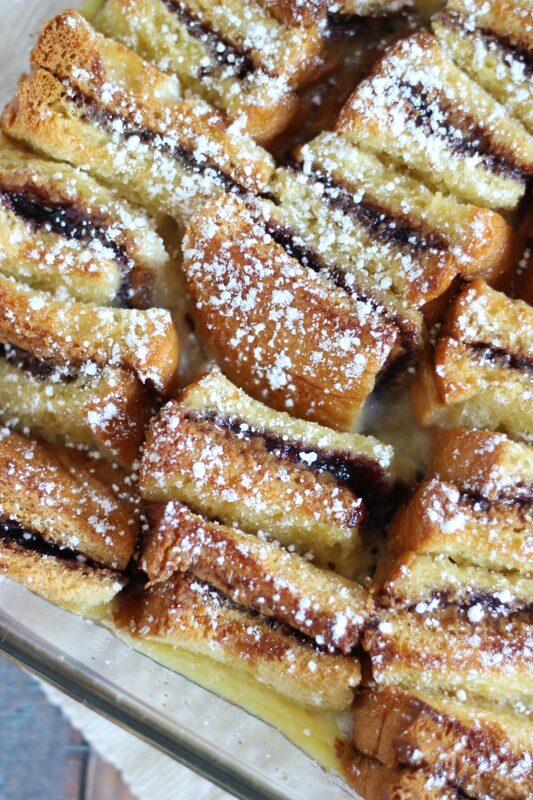 I adapted this Peanut Butter & Jelly Bread Pudding recipe from another recipe, but I totally had this idea too. I swear. Though I envisioned it quite a bit differently when I thought of it. I may still execute it the other way I was thinking of too, but when I saw this version, I really wanted to give it a run. It’s just so clever, and so pretty. I had to know if it tastes as amazing as it looks. More about that in a minute, but spoiler alert: it sooo does! 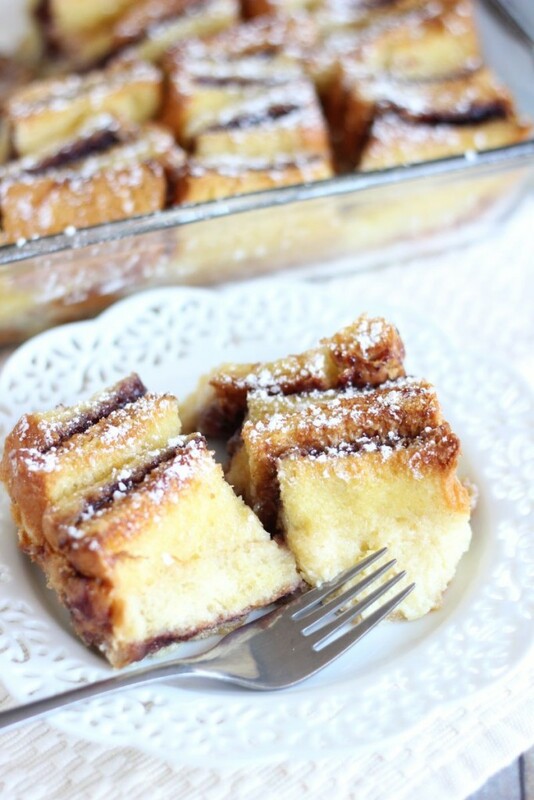 Bread pudding is a really fun dessert to make, and I love how versatile it is. You can get really creative with flavors of bread pudding. 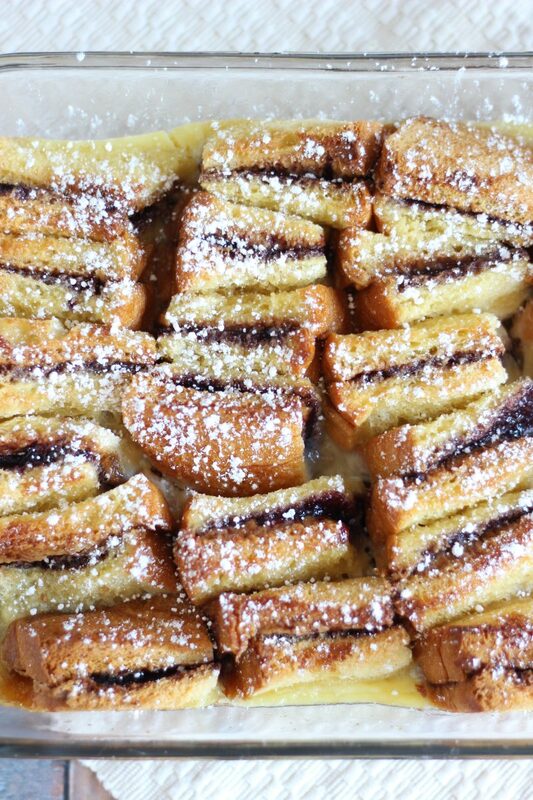 I’ve got a few other bread pudding recipes on the blog, like this Coffee & Donuts Bread Pudding or this Coconut Rum Banana version, and though bread pudding is not a trendy dessert, per se, it’s a classic. 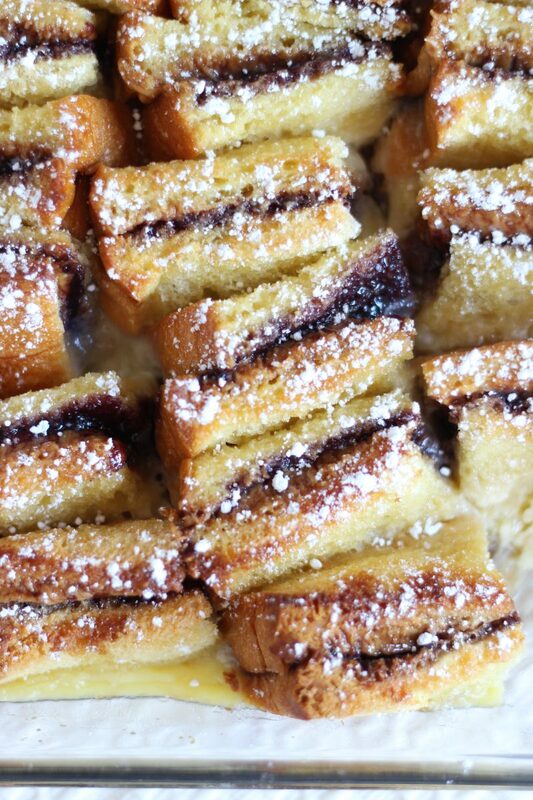 So I had the idea for this Peanut Butter & Jelly Bread Pudding, and it was one of those things where I then saw it on Instagram the very next day. Noooooooo. In this day and age of food blogging, it’s so hard to come up with original ideas, and when I do come up with what I think is really original, I swear I always see it somewhere a day or two later, someone else just thought of it too. That’s how it always seems to work out! In any event, I have another idea for how to execute this, and I’ll probably make that too. 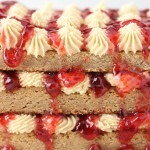 But this particular version is special – the recipe calls for making a bunch of peanut butter and jelly sandwiches, cutting them into cubes, arranging them in a baking dish, and pouring a mixture of heavy cream and eggs over it to bake into a custard-like texture. It’s so clever to replace a bread pudding’s traditional cubes of bread with cubes of PB&J sandwich. This bread pudding exceeded my expectations. It is amazing. 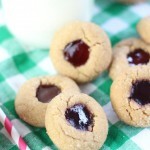 I kinda want every PB&J sandwich I ever eat to be baked in custard now. The custard is sweet, rich, creamy, and ultra-decadent, and the bites of sandwich are toasty and golden brown. 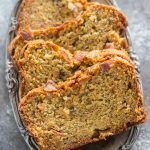 I highly recommend this recipe, and it’s one of the best bread puddings I’ve ever had.